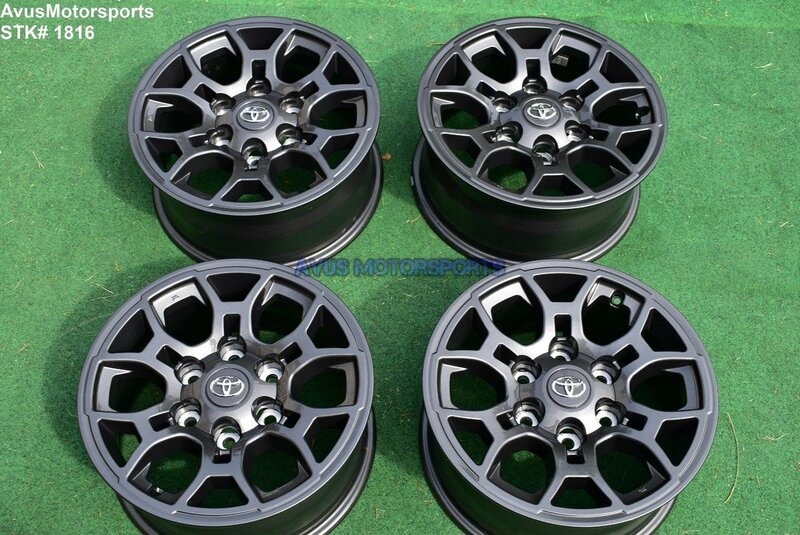 This auction is for a set of (4) 2018 Toyota Tacoma 16" OEM genuine factory wheels NOT REPLICA. These rims were taken off around 50 miles. They are in excellent condition, but like all take off wheels there might be some minor scratches or blemishes (see pics), but no bends or cracks.